If there's one word that I'd use to describe Kostas Metaxas it would be "passion". Have known Kostas for many years and his deep love and artistic flair never cease to amaze me. He works in the latest technologies, sometimes nearly 10 years before anyone else tried using it. Is Kostas an electronics genius, creative artists, philosopher, or any number of other things? I'd have to say a resounding yes to all! While i somehow forgot to get pics, their new Macrophone and Siren monitor speakers looks truly stunning! 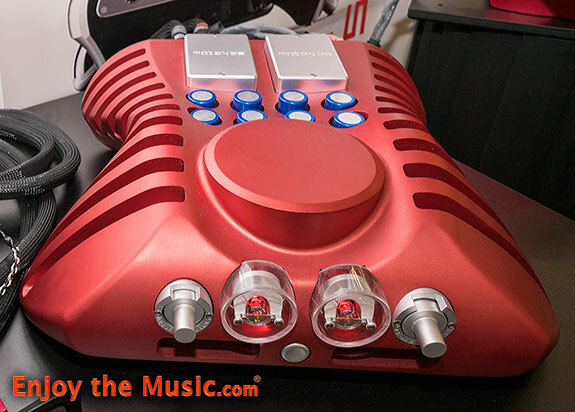 The art of CNC machining organic shapes with amplifiers opened up similar possibilities with speakers. Mimicking the inverse of the microphones used in purist recordings, the "Macrophones" are mini-monitors designed to be used to seriously monitor recording/playback, which can be scaled with the addition of "modules" to become as miniature for location work to as grand as is necessary for studio or home playback. They were specifically developed to monitor location recording work for the perfect positioning of microphones in 3D space and to help the recording engineer stereo mix the four to five microphone channels in real time to a stereo analogue tape. Each macrophone is machined in two halves forming an ideal shape to mount the Accuton ceramic drivers and reduce cabinet colorations. The solid CNC-machined solid aluminum essentially extends the ceramic cone supports from the rigid speaker baskets to the entire cabinet. A pair of Macrophones can fit into a Pelican 1600 series case to be bumped in and out of the most important acoustic venues in the world such as Abbey Road, Musikverein, Concertgebouw, Carnegie Hall or your home. 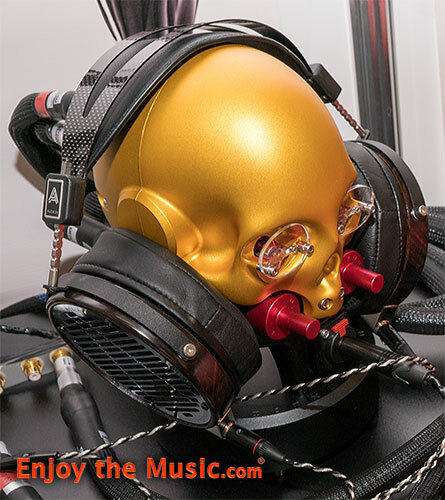 The Sirens seek to achieve sheer musicality and realism that allows this potent three-way system, CNC carved from a block of solid aluminum (or incredibly hard titanium) to engage and captivate it's audience with it's extreme sculptural aesthetic. Their Siren speaker embeds the Accuton drivers into spheres mounted onto an organic "time-aligned" sculpture. 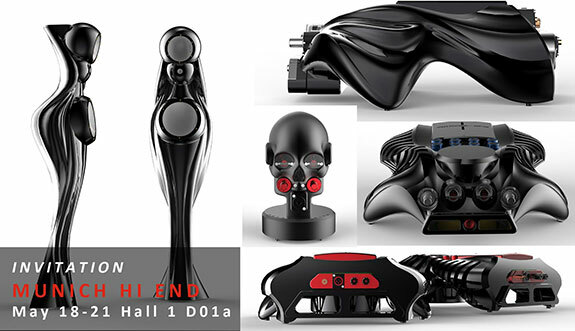 Despite the unique and unusual shape, the design is a seriously engineered, no-compromise loudspeaker with emphasis on absolute sound quality. Accuton ultra-low coloration ceramic drivers are used in some of the most expensive systems currently available, but it's only when you marry them to a curvaceous, stiff, inert massive machined "body" that you can really hear - and probably for the first time appreciate, their sheer neutrality. In a true "bespoke" manner, the actual configuration of drivers can be chosen, Since there are different "levels" of Accuton ceramic drivers , up to and including their ultra-expensive "diamond" tweeter, the customer has a choice of which tweeter, midrange and 8" woofer they would prefer to use now, or in the future. 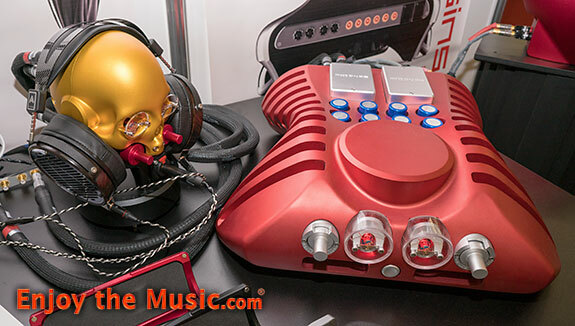 Kostas Metaxas' passion extends to so many types of crafts that, at times, i find him one of the most interesting and diverse men within the high-end audio industry. Must also say that i do not love his products. Instead, i lust after them. Desire them to a degree higher than many other products. Style and substance. With that said, instead of my usual photos and text, here are a few professional videos he produced.